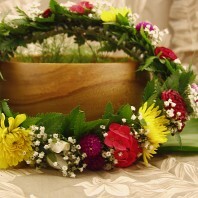 Categories: Fresh Wedding Leis, Graduation Leis, Hawaiian Flower Leis, Hawaiian Leis and Corsages, Men's Leis, Orange Leis, Premium Leis, Yellow Leis. 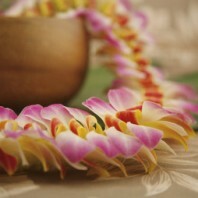 Cigar lei are a classic choice for men. 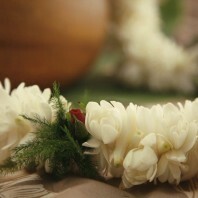 It is made with hundreds of tiny, tube shaped cigar flowers. They blend in a mix of orange, purple, red and gold. The small flowers are sometimes said to resemble a lit cigar due to the color on the tips. 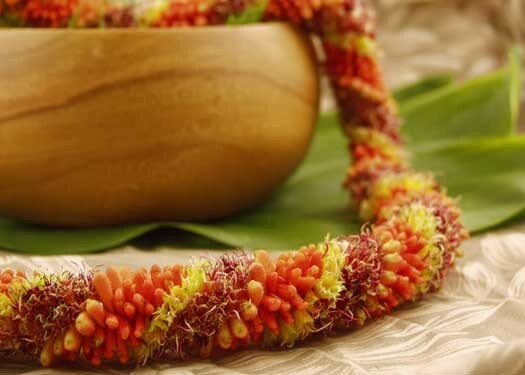 We join and spiral the colors around and around when carefully sewing this lei. There may be almost two thousand individual flowers in this remarkable work of art. 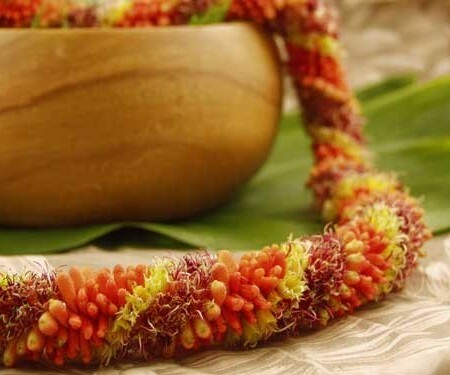 All of the varied colors in this Hawaiian lei are natural. 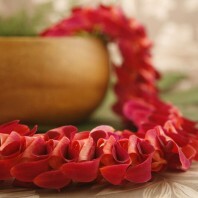 The flowers are grown for lei making here in Hawaii. 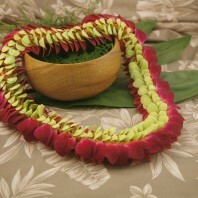 A cigar lei takes time to make so please order in advance. This is particularly so in May and June with Hawaiian weddings and graduation ceremonies. 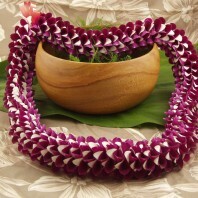 This is the ideal Father’s Day lei. It can also be given for an anniversary, birthday or for sporting events. 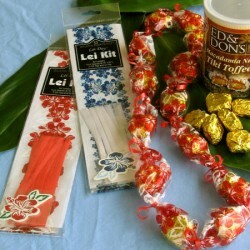 In Hawaii team coaches often wear a cigar lei on the sidelines to bring their teams good luck. 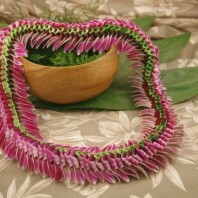 It is also suitable as a graduation lei as most of the other grads will be wearing simple orchid leis. 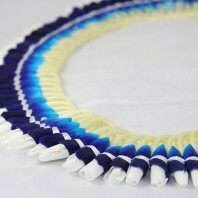 The beauty are rich color palette of a cigar lei means it is sometimes worn by women. 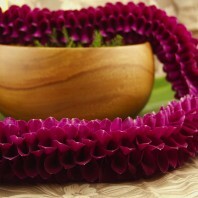 This is a hardy, non-fragrant lei. It will last several days with refrigeration. 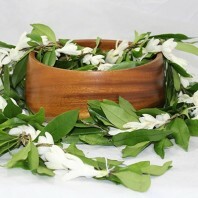 It can also be dried naturally after wearing as a keepsake. We always recommend having your package arrive one or two days before your event. 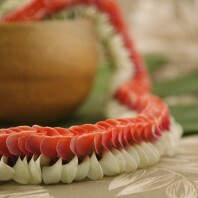 This Hawaiian cigar lei is forty inches long in a somewhat narrow, tube shaped width of 1 1/4 inches.